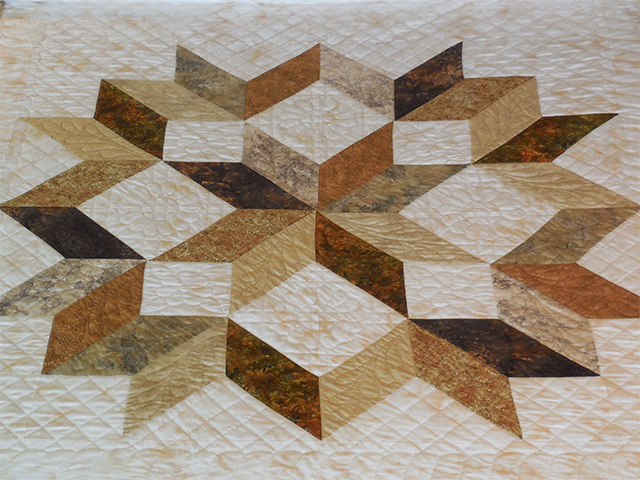 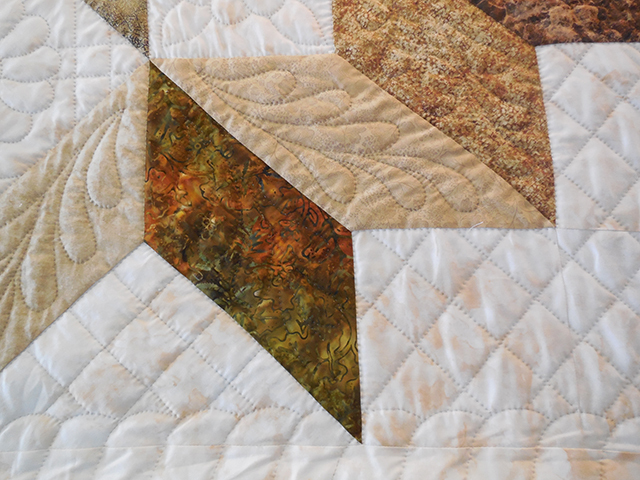 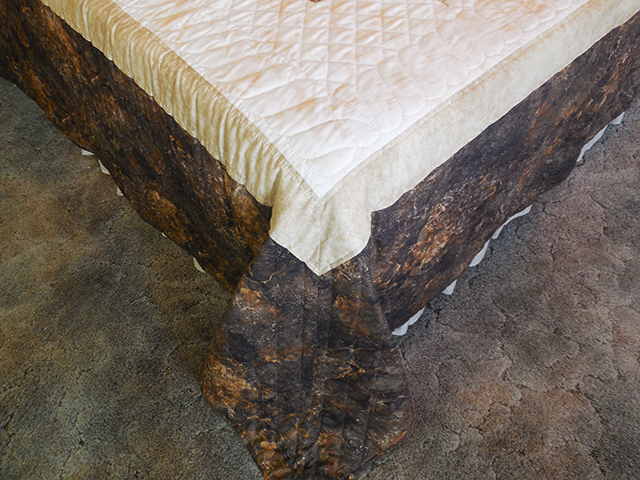 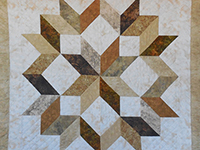 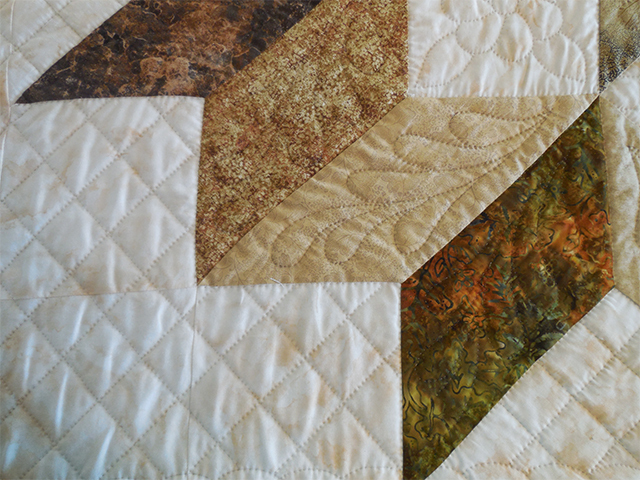 A traditional Broken Star pattern in beautiful browns, golds, beige and touches of taupe. 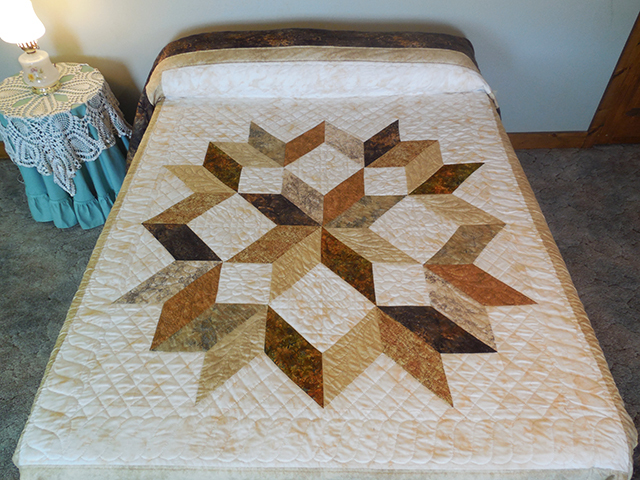 This queen-size quilt can be used on a king-size bed if turned sideways. 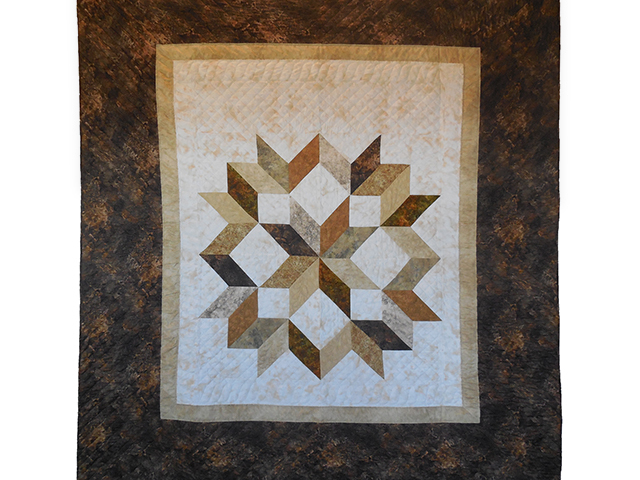 Dolores pieced the top and an Amish friend did the fine quilting with 8 stitches per inch. 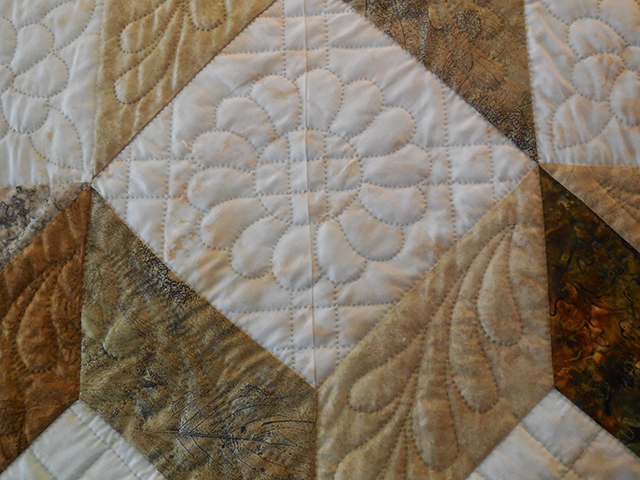 It is signed and dated in embroidery by Dolores.